I’ve been looking at bilingual books lately and thinking of ways to use them in programs/lessons. 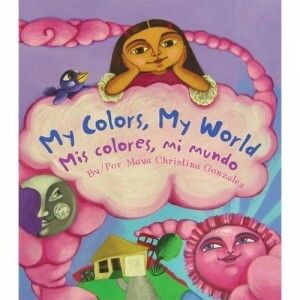 My Colors, My World/Mis colores, mi mundo is a great one. 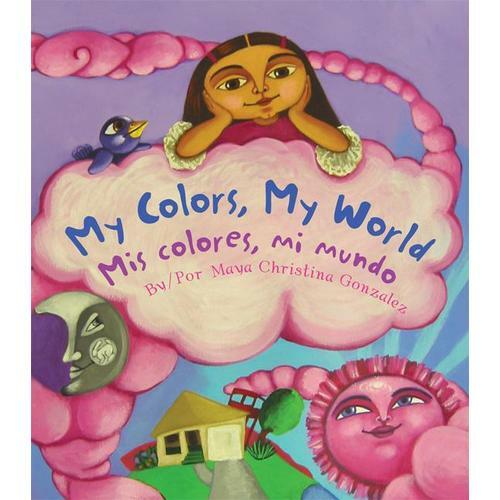 The vibrant illustrations and colorful text help kids learn the names for colors in English and in Spanish. The little girl in this story lives in the desert, and her world is often covered in sand. So she observes everything around her looking for bursts of color. Off the top of my head I can think of 3 great ways I could use this book: a read aloud for pre-readers and beginning readers to learn the words for colors (which are differentiated with squiggly text and font colors to match the word), an exercise in observing what you see around you every day, and a story for young readers to practice their English or Spanish. It’s charming and full of big, bold images kids will love.